Mommy Maestra: Teacher Express Dollar Deals! I just bought $187.60 worth of eBooks for $16.00. 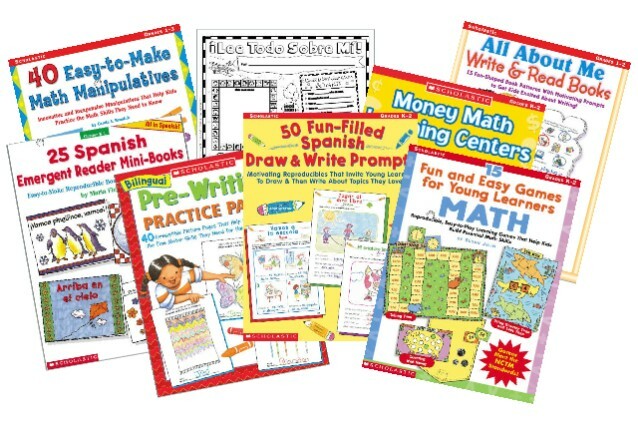 Don't miss Scholastic's Teacher Express Dollar Deals! This 3-day sale is their biggest sale ever. And I think they only offer the Dollar Deals once a year. There are hundreds of eBooks available for Pre-K through 8th grades. Last year I bought loads of eBooks (lesson plans, activities, etc.) and I just bought another load. You can find downloads for almost any subject. They also have a large Spanish/bilingual/ELL section. This is really an excellent opportunity, as these books typically sell for much higher. I would strongly encourage you to go and take a look at what they have to offer. You can pay via PayPal. - Start on the first page and then just add whichever products you like to your shopping cart. This sale expires on March 28th.